So easy to apply, you can now be your own make up artist! Maybelline vivid and smooth eyeliners come in a long-ish sharpenable pencil form that is black in color and looks good! the back of the pencil is the color of the eyeliner itself so that makes it easy to find in your stash.The cap is transparent. 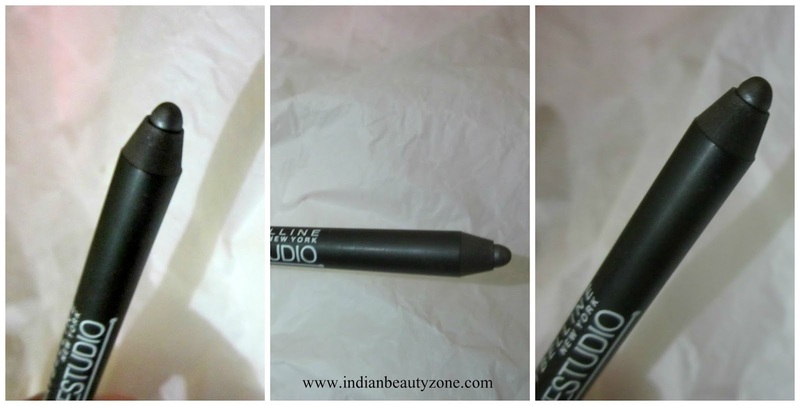 The texture of this eyeliner is very smooth and creamy, no tugging or anything,it applies very smoothly on your lids. The shade Metallic silver is a very pretty dark grey metallic shade,but not silver at all. It is the color of gunpowder in my opinion. 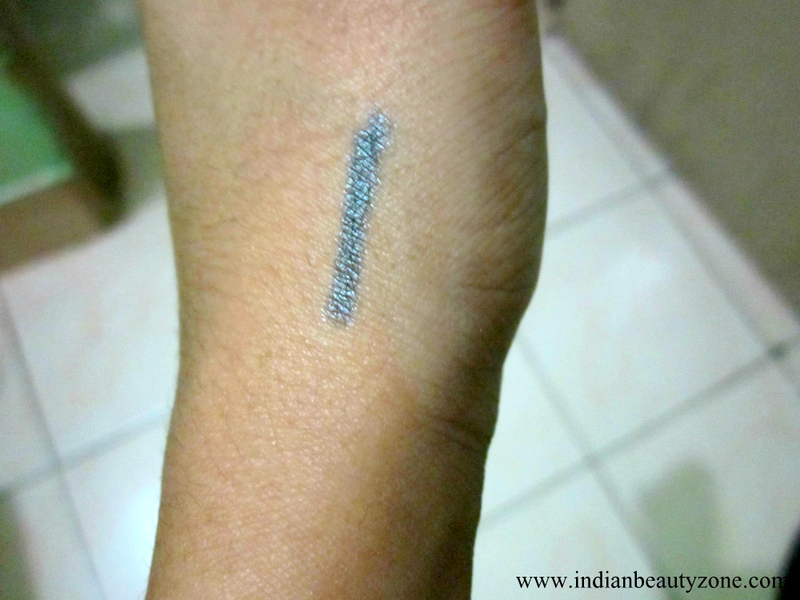 This range has a lot of shades to choose from so everybody will find a shade but since I am a neutral-kinda person when it comes to makeup and don't really like green or blue eyeliner so this one was my best bet as it is not an ''on your face'' kinda color. Pigmentation and staying power: Pigmentation is awesome,one swipe and you get the color on your lids, And it takes a minute to set completely after which it does not budge at all.It sets to an almost waterproof, smudge proof finish. Staying power is great,It stays easily for 7 hours on me after which it fades, using a primer will make it stay even longer. 1) A bit hard to remove,you will need a makeup remover,but that is a good thing,isn't it? Such a pretty Shade this is! I havent tried the Maybelline Studio liners at all but this looks great Bipasha! It is Richa,do try em. Maybelline liners are the best budget buys. Loved the pics n the shade looks great on u! Try this dear, you will love it. yes olive oil will do the job. Nice review, Looks good on you. Lovely eye-liner and perfect review darling! 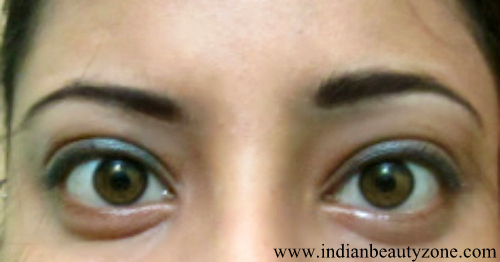 Pigmentation looks fab, nice review :), Happy Sunday to Radha and Bipasha, xoxo. Shade is very pretty and lovely eotd! !